In this section you find a description of the specific partner activities. Apart from the central project activities which are defined and realised step by step over the two years, like the development and experimentation of an intercultural training course for staff members, each partner has identified training needs and organised and developed all sort of training material together with the target groups. The migrants themselves have been motivated by staff members to develop learning material and to participate in intercultural activities. Moreover, each partner has created a framework to enhance the co-operation with multicultural groups which has led to better integration. 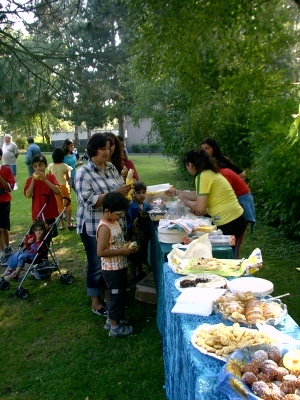 Common intercultural activities break with possible isolation and help people to get into contact with other people from different origins and eventually learn the language of the host country.